Silver Makeup Train Case Free Shipping makeup cases [2028S] - $44.99 : MegaDiscStore, Your choices of High quality CD DVD Blu-Ray Replace cases! 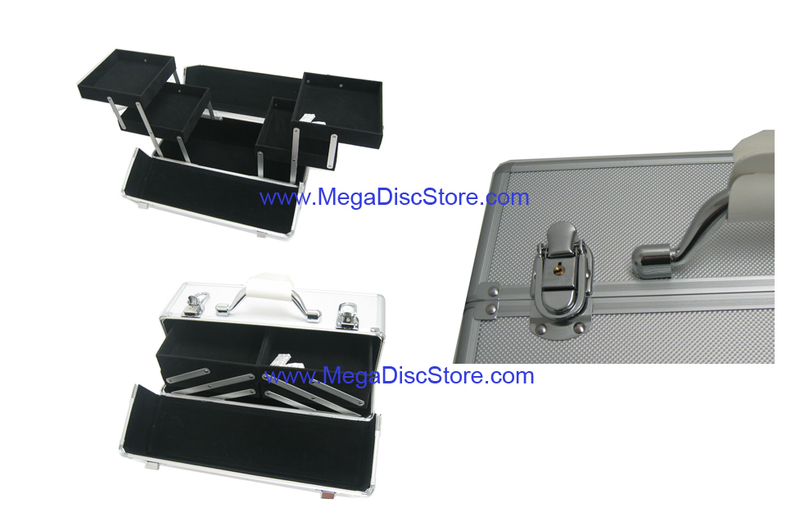 This is a High Quality Medium size of the aluminum makeup train case. Two Side 4 Black Tier out trays. Silver color ABS board surface. Chrome strong handle on the top of the case. Two chrome padlock with two sets of the key.